Captain Watson is marking a somber anniversary this summer. As of July, he’s been on the high seas — constantly on the move, unable to go home, his location a secret — for an entire year. Why the nomadic existence? Costa Rica and possibly Japan are seeking to extradite him as soon as he hits port in almost any country in the world. Watson, a Canadian citizen, was arrested in May 2012 in Frankfurt, Germany. He was charged with “violation of ships traffic” in 2002 in Costa Rica, which stemmed from an incident in which Watson and his crew attempted to stop illegal shark finning operations by a Costa Rican ship in Guatemalan waters. While under house arrest, Watson was tipped off that he’d be extradited to Japan, not Costa Rica, if he stayed in Germany. Watson has been a highly effective thorn in the side of Japanese whalers for years, so this news didn’t bode well for his long term freedom. Earlier this year, Watson stepped down from his leadership roles in the SSCS to comply with a court order requiring him and his crew to remain at least 500 yards away from Japanese whaling vessels. 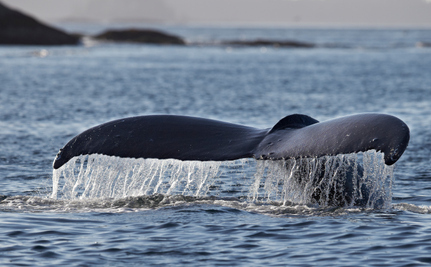 In June, SSCS’s insurance company asked a federal court for a declaratory judgment that it is not obligated to defend the SSCS or its members against Japanese whalers’ claims. In December 2011, the Institute of Cetacean Research, a Japanese whaling group, filed suit against the SSCS. They claimed that the Sea Shepherd’s crew rammed their ships and threw acid-filled and incendiary projectiles at their vessels and crew. Great American Insurance Co. says that by its terms, its coverage would only be available had SSCS reported the December 2011 lawsuit filed against it by Japanese whalers during the effective 2011 and 2012 policy periods or within 90 days after they expired. Apparently, that didn’t happen. Sounds like the Sea Shepherd and its crew are on their own, doesn’t it? (Update: After we published this post, Lisa Arrow, the senior media relations manager for SSCS, contacted Care2 to let us know that the organization does indeed have insurance). Sea Shepherd members were barred in July from the International Court of Justice on the last two days of hearings on Australia’s legal action against Japan’s whaling program, probably due to pressure from Japan. Australia began its action against Japan in 2010, alleging that the “research-based whaling program” conducted by Japan is essentially a sham aimed at getting around international prohibitions on commercial whaling. Geert Vons, head of Sea Shepherd Netherlands, told ABC News Australia he was blocked from attending the court during the last two days of Japan’s arguments in response to Australia’s allegations. This seemed odd, in that he had written confirmation that Sea Shepherd representatives were invited to attend all hearings. He was given no reason for his exclusion. “I think it’s not the court themselves that had problems with members, representatives of Sea Shepherd getting in, I am sure it has to do something with pressure from Japan,” Vons said. The International Court of Justice is the United Nations’ highest judicial body of the United Nations. It settles disputes between nations. Its decision in this case is not expected until later this year. The Sea Shepherd UK is adding a new vessel to its armada, and will name it in honor of the sea turtle conservationist who was murdered in Costa Rica in May. The “Jairo Mora Sandoval” will be unveiled in August. “We do not want the name of this courageous and passionate young man to be forgotten, and hopefully this will help to keep his memory alive,” Paul Watson posted on his Facebook page. Watson is offering a reward of $30,000 for information leading to the arrest and conviction of those who killed the 26-year-old activist. I was just asked by a Friend to Check In on the Sea Shepherd and to follow and support them for the "AWESOME" things that they are doing !! I have Shared this and I hope to get more followers and support with persons that are not familiar with this !! Thank-You for ALL that you do !! Thank you, Sea Shepherd! Really, Greenpeace has a lot to learn from you guys! Unfortunatelly, the protests only don't make any difference for the whalers... They just don't care, at all! Plus, the politics envolving all this is just embarassing. The governments don't seem to care either. It's all about the money, money and money. It's a shame. "Okay, those who say that SSCS has digressed to using violence in their tactics and therefore have become criminals or gangsters, themselves, consider that other tactics to stop the illegal whaling have failed miserably. Not a single whale has escaped death by Greenpeace hanging signs off the Golden Gate Bridge, nor just ASKING Japan, politely to stop what they're doing. The Japanese whalers are supported by a huge financial backing of their own government and they are arrogant and liars about their activities, most of which have been caught on camera. I'm not against a bit of "property damage" like the spray painting of the Japanese vessels or even the "prop fowlers" that render the ships inoperable (for a few minutes at best). Have the SSCS crew tried to harm humans on board the Japanese ships? No. They throw bottles of a harmless but very STINKY substance, not big lead or iron objects, nor operate L-RAD that can bring down aircraft. A multi-million dollar vessel (Ady Gil) is at the bottom of the Southern Ocean, owned by a New Zealander, NOT the Japanese"
It's sad when the only way to fight illigal actions is by commiting themselves. If laws were being followed, then this whole situation wouldn't be nessisary. Good luck to the Sea sheaperd, and her warriors. May whatever deity you choose watch over you. Safe Harbor, ship, captain and crew. I see this man and his crew as passionate and courageous warriors for the cause of protecting our oceans and ocean wildlife.